Check out the brand NEW trailer from The Weinstein Company’s LEAP!, featuring Carly Rae Jepsen’s hit song from the soundtrack, “Cut To The Feeling.” This sponsored post is brought to you by The Weinstein Company and coordinated by Wendy’s Bloggers. In LEAP! 11-year-old orphan, Félicie has one dream – to go to Paris and become a dancer. Her best friend Victor, an imaginative but exhausting boy with a passion for creating, has a dream of his own – to become a famous inventor. The two friends flee their orphanage in pursuit of their passions. But Félicie quickly learns that talent alone is not enough, but determined to succeed, Félicie finds her mentor in the tough and mysterious school custodian, Odette who, along with Victor’s encouraging friendship, help her reach for the stars. This charming animated comedy will inspire the whole family! Parents, kids, anyone who has ever dreamed of following their heart will fall in love with LEAP!. The entire cast captures the spirit and humor of the story and the music will have you dancing all the way home! LEAP! opens in theaters nationwide on August 25th and stars Elle Fanning, Nat Wolff and Maddie Ziegler alongside Mel Brooks, Kate McKinnon and Carly Rae Jepsen. 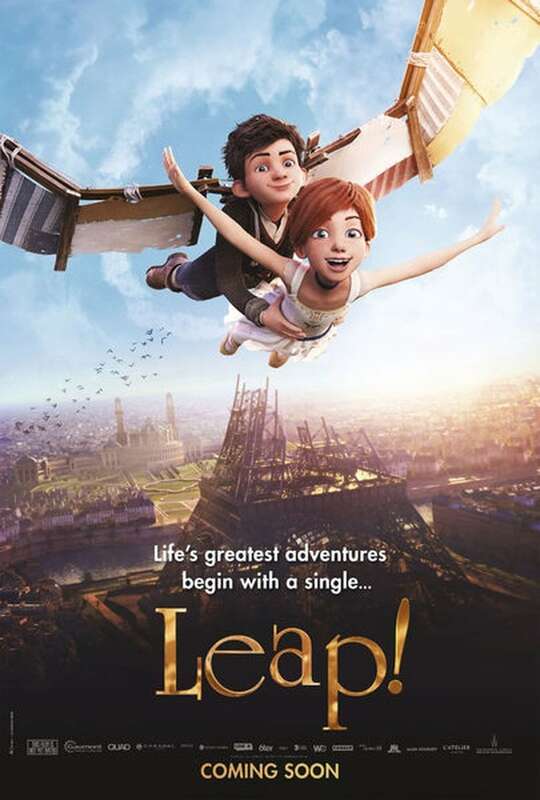 Who in your family will be most excited to see LEAP!? This sounds like the type of movie that I want to see . The entire family can enjoy it.